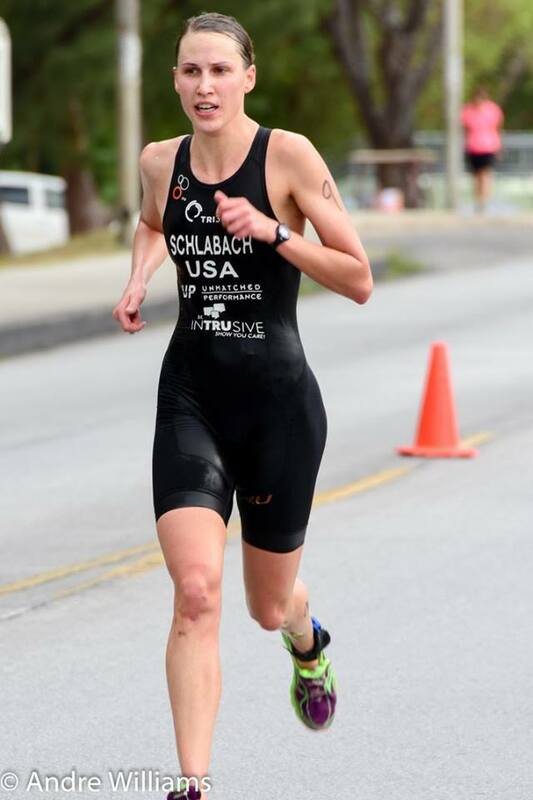 Welcome back Pro Triathlete Calah Schlabach from Arlington, VA, to the Luray Triathlon! Calah is returning for her second year in a row. 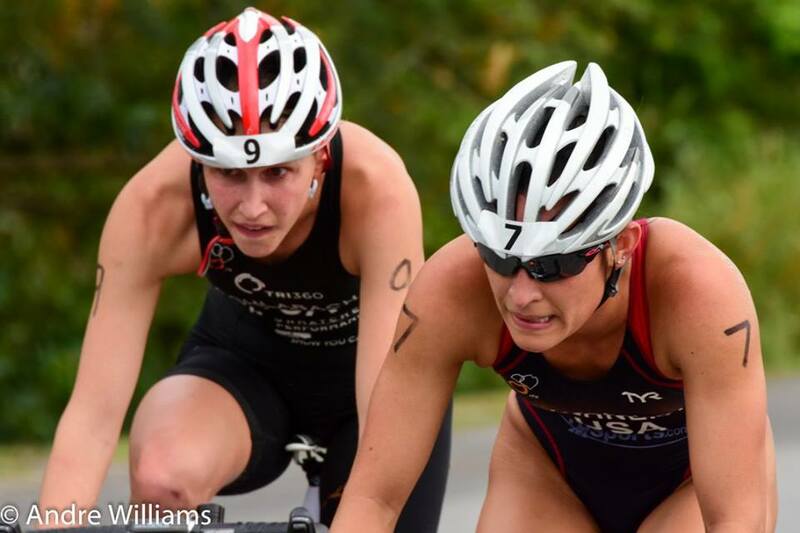 Last year Calah won an impressive 1st place in the Luray International Triathlon AND 1st place in the Luray Sprint Triathlon. This year she will again join a talented field of both elite and amateur athletes who will be competing for part of the $5,000 cash prize purse. A) I’m in my second year as a pro triathlete. 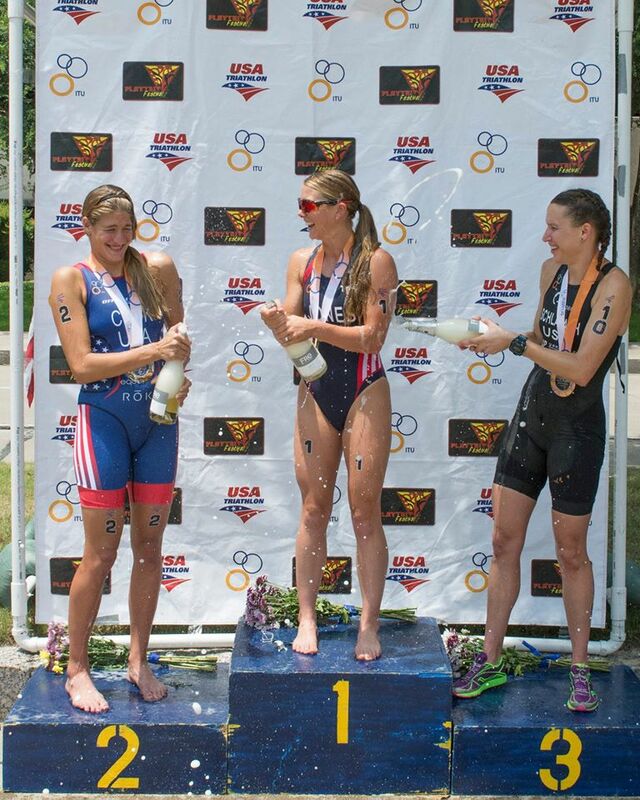 This year I have been focusing on ITU draft legal sprints. I am also assistant triathlon and cross country coach at Marymount University. A) My mom convinced me to do a triathlon with her when I got back from a year living in Hanoi, Vietnam. I was quite out of shape and rode a borrowed bike. My mom and I were two of the very few who did the frigid swim without wetsuits. Now I own my own bike and a wetsuit (though I still prefer to swim without) and I run more than twice a week. More importantly, I have also committed to triathlon as a profession, as opposed to as a hobby. Most significantly, I relocated to Arlington, VA, to get supervised instruction in all three disciplines from my coach, Zane Castro. A) Obviously, the prize purse is a huge draw. That’s what brought me to Luray last year–both because I wanted to earn a piece of the purse and, more significantly, because I wanted to support races that support pros by offering purses! (After so many purses being cut this year and wrecking havoc on my and other pros’ race schedules, I was even more committed to supporting this race.) This year, the prize purse is still a factor, and, in combination with my experience from last year–I loved the course and atmosphere and the incredibly friendly staff and volunteers–there was really no question about whether I would come back. A) I did the Devil’s Double last year knowing that the double would be a challenge, as I had never done such a thing before. This year, it will be similar. I’ve mostly been racing sprints, so I am looking forward to staying in touch with the Olympic distance, and then challenging myself to come back and give a strong effort in the sprint the next day. A) Be patient. A lot of people get really excited when they see results, and then go a little overboard and get injured or overly tired. Be excited, but temper your excitement. A) I plan to do an international ITU race this fall.